The Samsung Galaxy S 4 mini manual is available now. 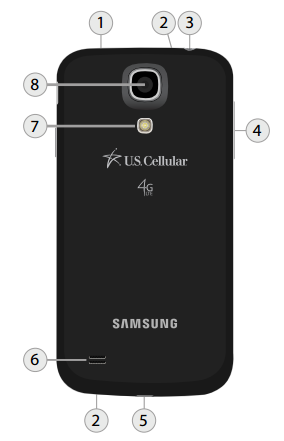 For owner of this smartphone especially for U.S. Cellular carrier, you can download the manual here. It's available for android Kit Kat and Jelly Bean. This manual also known as the Samsung GS4 Mini SCH-R890 user guide. For specs and features of this phone, you can read here. 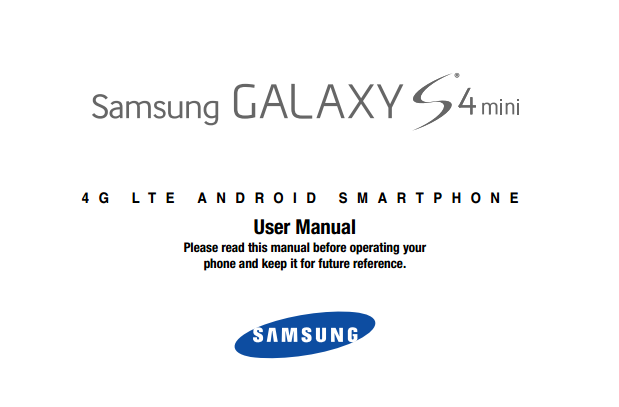 The Samsung Galaxy S 4 mini user manual contains 159 pages (4.52 MB). It's available in english language. It's also devided into 8 sections. Some important information of this manual such as device layout with features and key functions, using home screen, using contacts, making phone calls, using Gmail, Google+, using apps like amazon, using camera, gameloft, using internet, mps, mobile TV, ply store, using polaris office 5, samsung apps, samsung hub, link, vpn settings, using voice recorder. Then about using Wi-fi, using belutooth, NFC settings, and phone settings guide like lock screen, blocking mode, power sving mode, call settings, and more. LED indicator: Displays red when charging, green when fully charged, blinking blue when powering up, and orange when a notification has arrived. Earpiece: Hear the caller and automated prompts during calls. Proximity and Light Sensors: The Proximity sensor detects the presence of objects near the phone, such as when using motion settings. The Light sensor detects the ambient light level, such as when automatically setting screen brightness. Front Camera: Take pictures and record videos of yourself. Power/Lock Key: Turns the phone on or off, turns the screen on or off, or locks the screen. Press and hold for a menu where you can turn the phone off or restart it, or for easy access to Airplane mode, and to Mute, Vibrate, and Sound modes. Press and hold with the Home key to capture a screen. Menu Key: Access an options menu from most of your phone's screens and apps. Home Key: Return to the Home screen. Press and hold to open the Recently used applications window, launch Task Manager, and access Google Search. Quickly press twice to launch S Voice. Press and hold with the Power/Lock key to capture a screen. Back Key: Return to the previous screen, or close a dialog box, options menu, the Notifications panel, or on-screen keyboard. Infrared Transmitter: Used to control other devices. Microphones (top and bottom): Capture audio during recording, during phone calls, and video chat. 3.5 mm Headset Jack: Connects an optional headset for listening to music and convenient, hands-free conversations. Volume Key: Adjusts the volume of your phone's sounds. 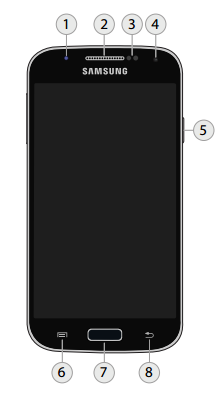 From the Home screen, press to adjust master volume. During calls or playback, press to adjust volume. Press to mute the ringtone of an incoming call. USB Charger/Accessory Port: Connects the phone charger/USB cable (included) and other optional accessories (not included). Speaker: Plays ringtones and sounds. The speaker also lets you hear the caller's voice in speakerphone mode. Flash: Illuminate subjects in low-light environments when taking a photo or video. Camera: Takes pictures and records videos.